When you’ve got three South Korean hip-hop giants coming together under a moniker like My Fans [Are] Better Than Yours, there is excitement and anticipation and expectation. All good things, especially to veterans of an industry that has only in recent years begun to fully embrace their long-practiced genre — and its many artists, from a colorful group of underground musicians to an emerging set of young boy band rappers who are throwing existing preconceptions to the wind — as a part of the chart-topping, head-bobbing, “Show Me the Money”-loving mainstream. Still, Tiger JK, Yoonmirae and Bizzy’s first effort together, titled “WondaLand,” is not a traditional hip-hop record. Under the label Feel Ghood Music, MFBTY took K-pop by surprise with an offering of an eclectic mix of genres, upbeat spirit and a laid-back, guilt-free, delightfully experimental musical quality that could have only come from the combined experience of this trio. “WondaLand,” well-received by both American and Korean music lovers upon its March release, acts, too, as a showcase of an array of artists from all walks of the musical scene: rock legend Jeon In-kwon, idol rappers Rap Monster and Yong Jun-hyung, vocalist Son Seung-yeon, the reliable Dok2, relative newcomer Dino-J. The album is very much, as the group says, a family affair. Tiger JK and Yoonmirae, who married in 2007, have a young son, Jordan, who is featured in the 16-song tracklist. Bizzy’s been performing with them for years. It’s perhaps that approach which gives the album its feel-good energy. The trio spoke to the Korea Times about “WondaLand,” the Korean hip-hop scene as they saw and see it, and the possibility of U.S. activities. 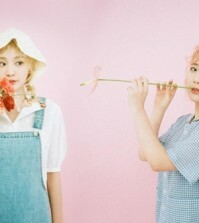 Korea Times: This album is such a fun, energetic listen. Tiger JK said in an interview that “Wondaland” is not a hip-hop album, but one that reinterprets K-pop. How would you describe the group’s approach to that reinterpretation? Tiger JK: We’re surrounded by K-pop. And we’re affected by our surroundings when we make music. I think making pop music as we hear it is more a suitable way of describing our “Wondaland” album. Yoonmirae: I agree with what JK said. We were inspired by the K-pop that we’re surrounded by, but we added our own flavor to it. KT: “Wondaland” is diverse. I feel like I heard a bit of everything, from reggae to EDM to rock legend Jeon In-kwon’s voice — what would you call the core of this album? Yoonmirae: I just call it a very “Feel Ghood” eclectic album! KT: The three of you have seen firsthand the mainstream introduction, evolution and embracement of hip-hop in Korea over the years. Did it happen the way you imagined, when you first began? Tiger JK: Not at all. I’m still having nightmares at night from time to time, but they’re all necessary, I guess. Yoonmirae: I don’t think I ever really gave much thought to how it should or would happen at the time. I just remember wanting people to hear and understand the culture. At the time, hip-hop was very much frowned upon and thought of as a very negative influence on the youth of Korea. I suppose in many ways it still is. However, you can’t find a group without a rapper and every other commercial on TV is either rapped or has a hip-hop theme song. So we’ve come a long way, but we’re not there yet. KT: K-pop – using this term generally here, as in idol groups – is a true worldwide phenomenon, especially with the help of Internet culture. Do you think Korean hip-hop has what it takes to do the same? Tiger JK: I hope so! The K-pop phenomenon started with Korean dramas I think. Many have paved the way for this sub-culture to seep through globally – artists, labels, and even support from the government. Korean hip-hop has what it takes to be taken seriously worldwide. However, some of the elements that are accepted culturally overseas aren’t in Korea. KT: In what ways would each of you say you’ve changed in terms of musical direction – if you feel you have – over the years? Tiger JK: I think I’m directionless. Hopefully I’m on the right path headed towards somewhere beautiful. I’d like to spread positive energy through my music. Yoonmirae: I’ve learned to be more open-minded and not so afraid to take risks. Hopefully I’ll have the good sense to know that just because you like a certain genre it doesn’t necessarily mean it’s going to be a good fit. KT: This album touches on the importance of family and the importance of endurance in love. In particular, “Fart Dance” stood out to me. What spurred the decision to include Jordan in the album? Tiger JK: It was actually our music video director Lumpens who really liked “Fart Dance.” Jordan was playing with my beat machine a while back and I remember us having so much fun making that song together. Lumpens fell in love with the song instantly when he heard it and strongly suggested that we put it on our album. Yoonmirae: I’m sure there’s some truth to the saying about never mixing family with business, but that seems to be impossible for us. We’re always looking out for each other and finding ways to involve each other in our projects. It’s hard sometimes because it’s all still very new to us as far as running a company goes, but it’s a beautiful thing watching us come together in those times of struggle. It’ll be an even more beautiful moment when we become a top label and we’ll be able to say together that we did it as a family! KT: All three of you lived in the U.S. for varying periods of time before pursuing music in Korea. Are there plans to bring MFBTY stateside, maybe releasing music in English? Tiger JK: We’d love to! With Feel Ghood Music being an indie label, we’re taking baby steps right now. Yoonmirae: I would love to! Hopefully we can soon. Bizzy: I’m hoping we can make this happen really soon. KT: The three of you are among the pioneers of the hip-hop genre in Korea. In that sense, what are the pressures you face as artists in your position? How much of it is reflected in “Wondaland”? Tiger JK: I feel pressure from a businessman’s perspective. In order to make a living, I must make the right moves. But as artists, money doesn’t make us, music does. So we have a hard time balancing these two different perspectives. Yoonmirae: I don’t know. I mean there’s pressure, but it’s nothing compared to the pressure we put on ourselves as artists. We are our worst critics. So I try not to think about anything else. I love hip-hop, period. I love music, period. I’m always going to try my best and thanks to being my own boss I’m always going to make music that makes me happy. And that’s exactly what I did on this album. If it’s well received that would seriously be the icing on the cake and the greatest gift. But if it’s not, then at least I had fun making it and it makes me happy. KT: To borrow a famously cheesy question from “Radio Star” – what is music to each of you? Tiger JK: It’s a time machine. Bizzy: It’s my best friend and my source of energy. I can’t do anything without music, so please don’t stop the music. 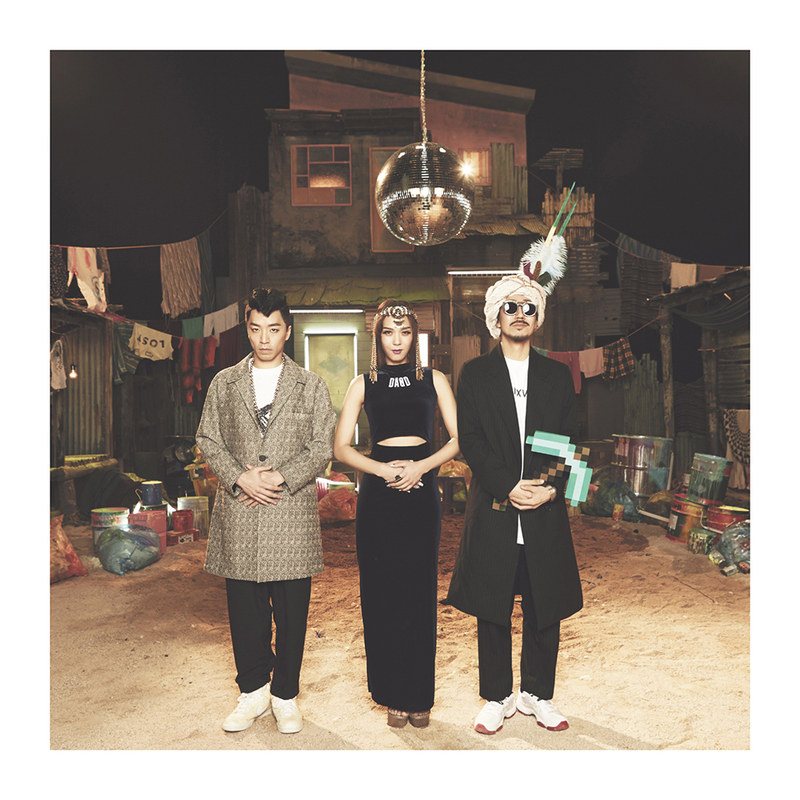 Follow MFBTY on Twitter at @FGHmusic, and buy “WondaLand” on iTunes here.